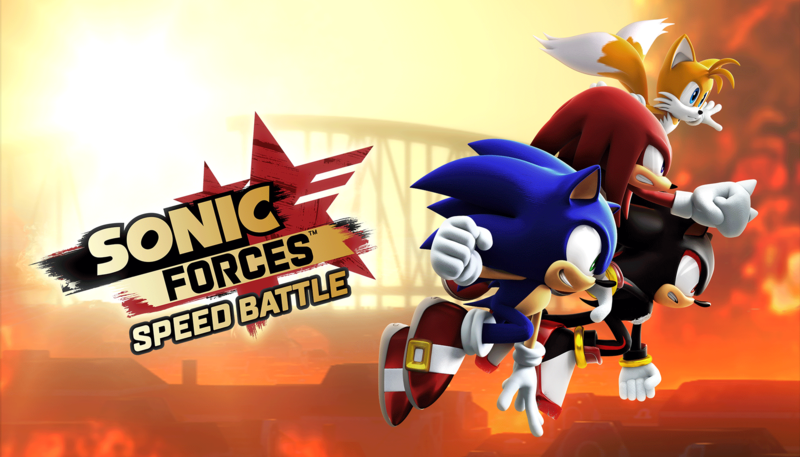 Sega's Sonic Forces: Speed Battle has officially released worldwide as of today. 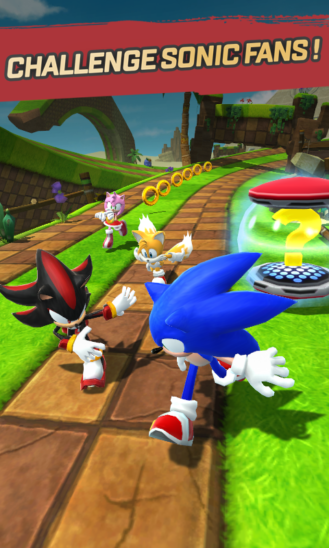 Luckily this release is nothing like the poorly received PC and console version of Sonic Forces as this is an entirely different game focused on multiplayer PvP gameplay. 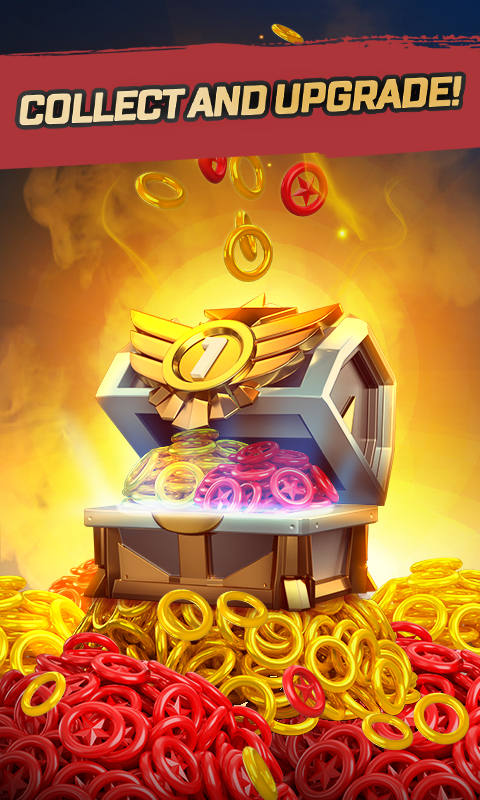 Sadly it is a competitive free-to-play auto-runner filled with loot boxes, multiple currencies, wait timers, a long grind to unlock any new heroes, plenty of advertisements, and of course a whole range of in-app purchases that go as high as $99.99 per item. As you would expect from any FTP Sega release, Sonic Forces: Speed Battle is nothing like the actual classics in the series. Sure you will still run around at breakneck speeds, but there is little within your control that can change that. At best you have a few swipe gestures that result in a couple of movements. 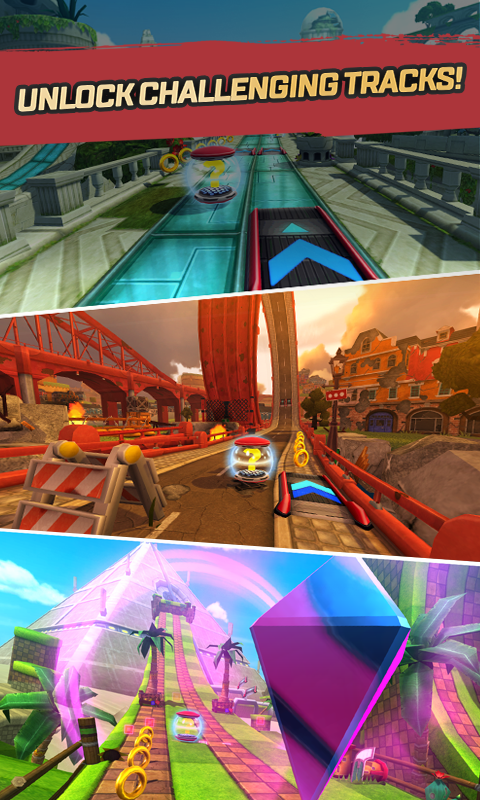 These range from running to the left or right as well as provide a way to a jump and slide. It's an auto-runner after all, so any type of true player agency isn't something you are going to find here as the entire game is on rails. What is interesting is that this is a PvP multiplayer-focused release. 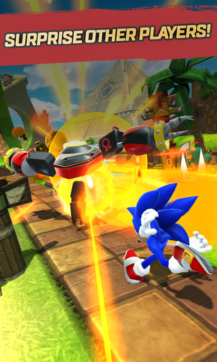 That means you will be auto-racing against other real-world players who are also swiping on their screens to control their chosen Sonic world character. As each player races, they will come across obstructions blocking their path, enemies in the way of their path, as well as some powerups and projectiles to use on oneself or against one's competition. Whoever makes it to the finish line first will win the most loot, which is conveniently contained inside of numerous loot boxes. These boxes, of course, have wait timers attached to them, so you will need to wait it out if you want to see what items you actually won. Luckily you still receive a few other loot boxes that can be instantly unlocked, which generally contain a few of the game's multiple currencies as well as some points that go towards unlocking new characters. These points will be locked to whatever character they are attached to, so you will need to grind and then grind even more if you plan on earning enough points for any individual character unlock. 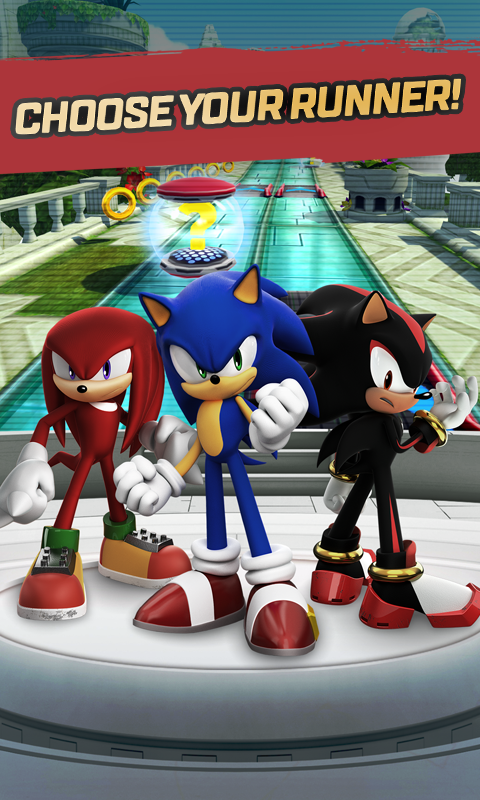 Now, once a new character is unlocked, you can start in on working on upgrading their abilities, which you do by using the main in-game currency of Coins. There is also a secondary currency called Red Star Rings that are often used for unlocking wait timers or purchasing loot boxes. 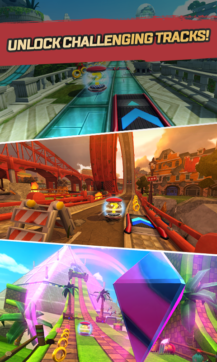 These are a lot more difficult to earn, which is where the game's many in-app purchases come into play. You see, the majority of IAPs are used for purchasing these Red Star Rings and of course range from $0.99 to $99.99 for a few different options in coin packs. Considering that this is a multiplayer focused game, the fact that you can purchase the currency used for unlocking wait timers and loot boxes means whoever pays the most into the game will have a major advantage over those playing for free as they can upgrade the best characters in the game as much as they like. And sure the matchmaking system should pair you up against those at the same level as yourself, but when in the history of mobile gaming has this ever worked as intended? Oh, and if I didn't mention the annoying advertisements yet, let me make it very clear that they pop up after every single round of play. You will have to purchase one of the many IAPs included in the store to remove them, which I suppose is an okay compromise for fans of the title. If I have not been transparent enough in the past for my distaste of competitive FTP games where you can easily purchase an advantage, let me just reiterate that any FTP release where you can pay-to-win is not a game at all but an endless monetization platform meant to squeeze every last cent out of your pocket. It is frightfully apparent that Sonic Forces: Speed Battle does not shy away from its P2W design. So it's probably best to decide now if either paying endless sums of money into the game to stay competitive or merely existing as cannon fodder for those who do choose to pay is what you are looking for in your time spent gaming. As for me, the trouble simply isn't worth it when better options that aren't designed to rip you off already exist.